Good news for those of you living in the EU but sadly bad news for my USA friends. 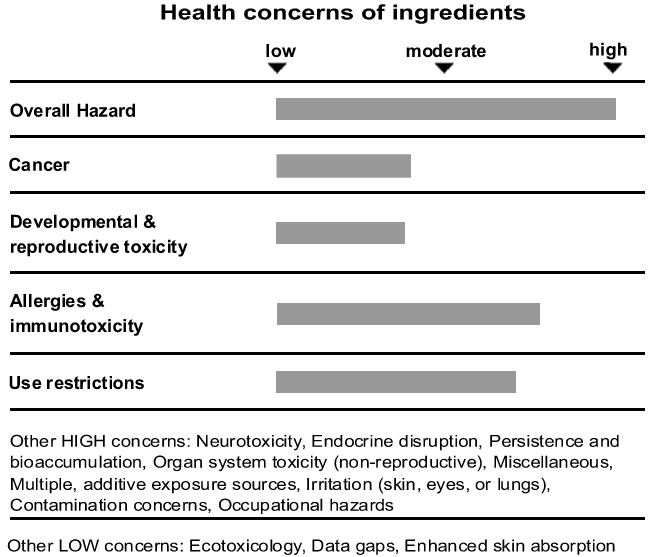 Europe is well ahead of the USA in its responses to potentially dangerous chemicals in health and beauty products. On 1st December 2007 a ban was imposed on 22 hair dye substances issued by the European Commission. These ingredients had been linked to bladder cancer in a 2001 University of Southern California study. Günter Verheugen, the European Commission Vice-President, said, “Substances for which there is no proof that they are safe will disappear from the market. Our high safety standards do not only protect EU consumers, they also give legal certainty to the European cosmetics industry.” The USA however, has not required manufacturers to file data on ingredients or report cosmetic-related injuries. If you wish to find the exact 22 ingredients do an Internet search for ‘Europe Bans 22 Hair Dye Chemicals’ The most dangerous hair dye ingredients are the Arylamines chemicals. One of these is called Phenylenediamine (PPD) and is present in about seventy five percent of chemical hair dyes including non-permanent ‘natural’ products. It is known to be toxic to the immune system, skin, nervous system, respiratory system, liver and kidneys. Despite the fact that many hair dyes are extremely toxic many companies get away with using them by providing a warning on the box. Their warning states that you should not allow their hair dye to come into contact with the skin and because of this warning they can justify using the chemicals that they do. Sadly, as you may already know, you cannot avoid all contact with your skin. It either gets onto your hands somehow or most certainly touches your scalp in places. Once it has contact with the skin it is absorbed into your blood stream and released into your body. Laboratory experiments have shown that PPD damages the DNA of human cells and of course accumulated DNA damage leads to cancer. These harmful chemicals are not only found in home hair dye kits but can also be found in salon dyes. It’s essential to talk to your hair dresser and find out what ingredients are in the products they use. Many have died from ignorance. That is extreme but true but even if you don’t get cancer you still risk losing your hair as many people have reported hair thinning and hair loss as a result of the chemicals in hair dyes. The following table shows the health concerns based on commonly used hair dye. Henna is the best way to colour darker hair. Henna has been used for thousands of years and traces have even been found on the hair and beards of ancient Egyptian mummies. Henna acts like a hair varnish that coats the outside of your hair, protecting and coating the cuticle. The results are natural colours and a stunning shine. Either buy Henna in its pure leaf form or get a Henna block which also contains cocoa butter from Lush. The thing I like most about Henna is that it works with the natural colour of each strand of your hair. This means that you don’t get only one shade in your hair which tends to look very unnatural but a gorgeous natural looking head of hair. • In rare cases Henna has been known to turn hair green but there is a simple remedy – Henna over the top to build up a rich, not green, colour. • Ensure you buy 100% natural Henna and not Henna with additives and this would completely defeat the purpose of using Henna in the first place. • Do a strand test first by colouring only a few strands to see if you get the desired result. Method: Mix powder with water into a paste and apply to clean dry hair. Protect your forehead from staining by rubbing some oil into your hairline before applying the Henna. Separate your hair into small sections and apply Henna from root to tip. Cover your hair for a more red shade and leave uncovered for a brown tone. Leave in for minimum one hour, for best results leave in for four hours. Rinse really well and then wash as usual. Usually detailed instructions accompany the Henna powder or the Henna blocks from Lush. Sunshine and lemon juice is the best ways to lighten hair. Lemon juice contains high concentration of nourishing elements like vitamin C, vitamin B, and phosphorous along with antioxidant properties. A sensible amount of sun is also very good for you as the sun produces Vitamin D in your body. Method: To use lemon juice and the sun mix the juice of 1 fresh lemon with 8 tablespoons of water and rub it in to your dry hair. Leave in your hair for four hours and then rinse. To speed up the process lie in the sun. Cover your body with cloth and spread your hair out to absorb the rays. If you have any hair colouring tips that work well, please share them with us. 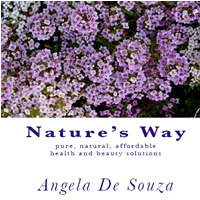 Find out more about Nature’s Way here. Hi Angela, This is great information. I do occasional highlights, nothing to serious but these tips are very useful. I'll pass on to others. Thanks for awaring me about the risk that we could absorb from commercial endorsed hair coloring. I'd rather use organic hair coloring or else I might get reproductive toxicity, allergies and even cancers.